BOWLING GREEN, Ky. (AP) — A sinkhole collapsed part of the National Corvette Museum in Kentucky on Wednesday, damaging eight cars but not shutting down the building. Museum spokeswoman Katie Frassinelli said six of the cars were owned by the museum and two — a 1993 ZR-1 Spyder and a 2009 ZR1 Blue Devil — were on loan from General Motors. Bowling Green city spokeswoman Kim Lancaster said the hole opened up at about 5:40 a.m. CST Wednesday, setting off an alarm and a call to the fire department. Frassinelli said no one was in the museum at the time. The hole is in part of the domed section of the museum, and that area will remain closed. That’s an original part of the facility for which was completed in 1994. The fire department estimated the hole is about 40 feet across and 25 to 30 feet deep. 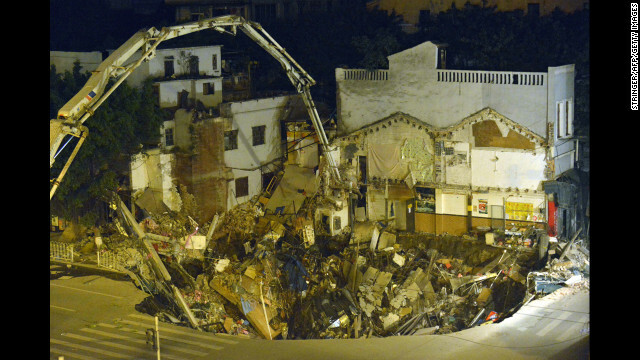 Pictures of the sinkhole show a collapsed section of floor with multiple cars visible inside the hole. A few feet away, other Corvettes sit undamaged and undisturbed. Frassinelli said the rest of the museum was open Wednesday. The other cars damaged were a 1962 black Corvette, a 1984 PPG Pace Car, a 1992 White 1 Millionth Corvette, a 1993 Ruby Red 40th Anniversary Corvette, a 2001 Mallett Hammer Z06 Corvette and a 2009 white 1.5 Millionth Corvette. Lancaster said information was still being gathered about what exactly happened, but it appeared to be the first problem of its kind at the property. Bowling Green sits in the midst of the state’s largest karst region — the Western Pennyroyal area, where many of Kentucky’s longest and deepest caves run underground. A karst display distinctive surface features, including sinkholes. Frassinelli said a structural engineer has been called to the museum to assess existing damage and the stability of the surrounding area. 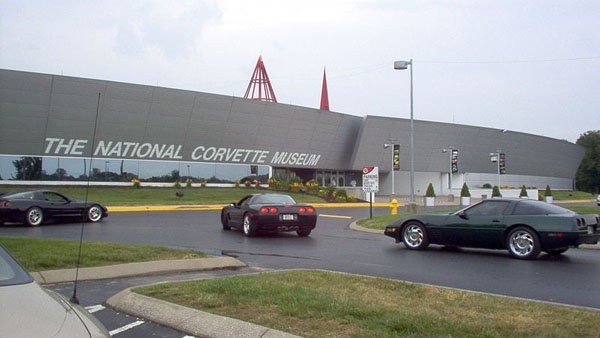 The museum is set to host the 2014 Corvette Caravan in September, a celebration marking the 20th anniversary of the museum. Although the event is still a year away, 1,200 people already are registered for the 2014 Corvette Caravan that will mark the 20th anniversary of the National Corvette Museum. Museum officials expect car clubs from all 50 states and Canada to converge on Bowling Green for the celebration. Bowling Green, Ky., is also the lone place where General Motors builds the iconic Corvette. This entry was posted in Blog and tagged corvette, general motors, sink hole, stingray. Marinus Gerritsen Of Golden Earing Digs us!